Welcome to the Chenango Valley Amateur Radio Association website. Please excuse our dust as we are in the process of publishing lots of useful information regarding the organization and the amateur radio hobby. Interested in amateur radio? Check our our meetings or visit us on one of our Tech Nights. All are open to the public! 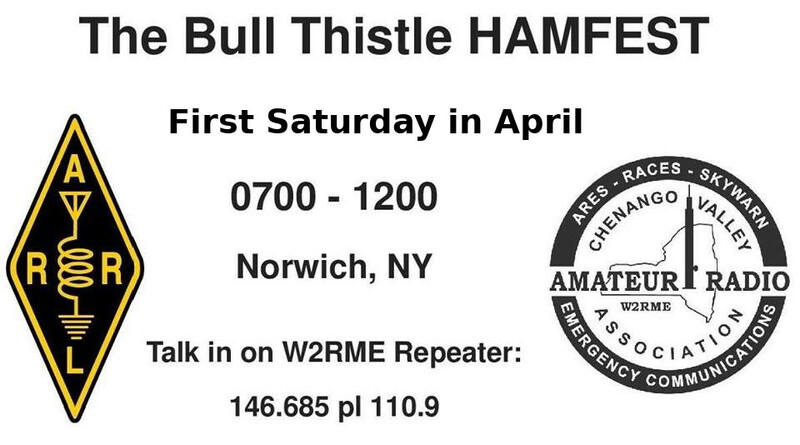 Check out our upcoming Bullthistle Hamfest! It’s bound to be a good one.